Another amazing day! 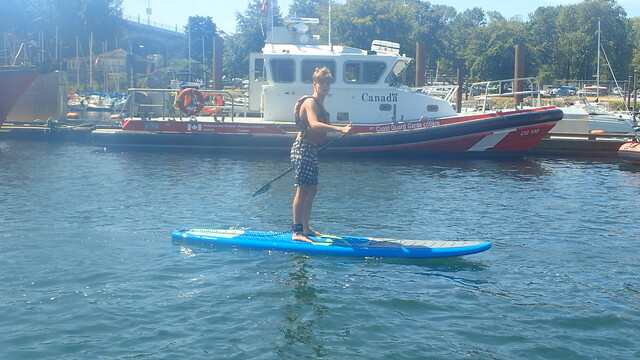 We went early this morning to experience Stand up paddle boarding at Granville Island. We had so much fun as we eased our way through English bay past the sail boats and kayaks. After this we had the opportunity to try genuine fish and chips, how yummy! Then we shopped at the market for a bit before heading to Whitespot for a delicious group meal. After this we got all dressed up and went to or dance party where we boogied the night way to classic hits like “YMCA” and “Bunny Hop”. We are sad to see some friends leave but we had a fun night of celebration with them!